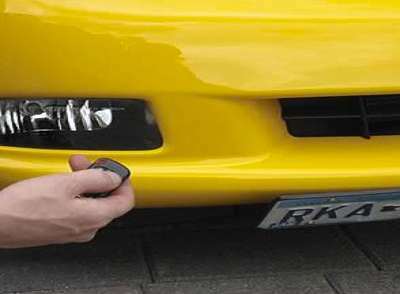 The Show N Go electric powered license plate frame lowers and tucks away your car's front plate to hide it when you're displaying your vehicle at an auto show, or just want to admire its lines and curves without a giant car zit hanging off its nose. 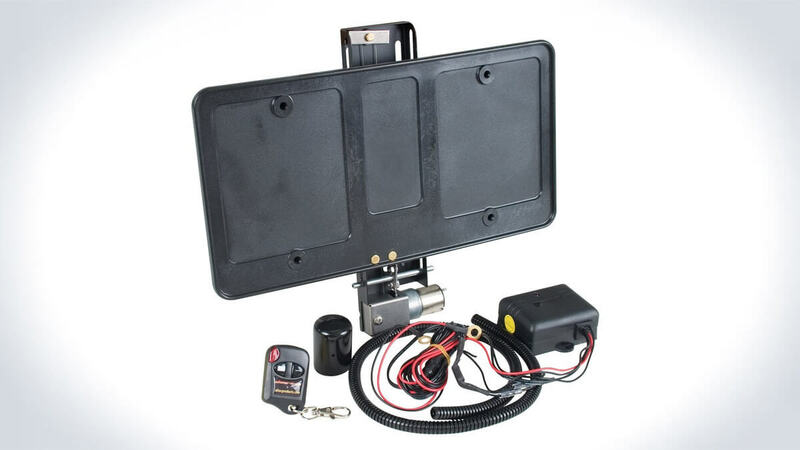 The frame is remote control operated and, unlike the Curtain Cover and Flipper versions, doesn't just mask your license plate, but removes itself from sight too. On the downside, the Show N Go works only on front, not back plates too. For front end coverage, the Show N Go should fit any vehicle with normal front bumper-to-road clearance - so, probably not lowered cars or those with ground effects. The unit arrives fully assembled with universal mounting hardware, and installation should be easy for amateurs and skilled spies - uh, I mean, car enthusiasts - alike.